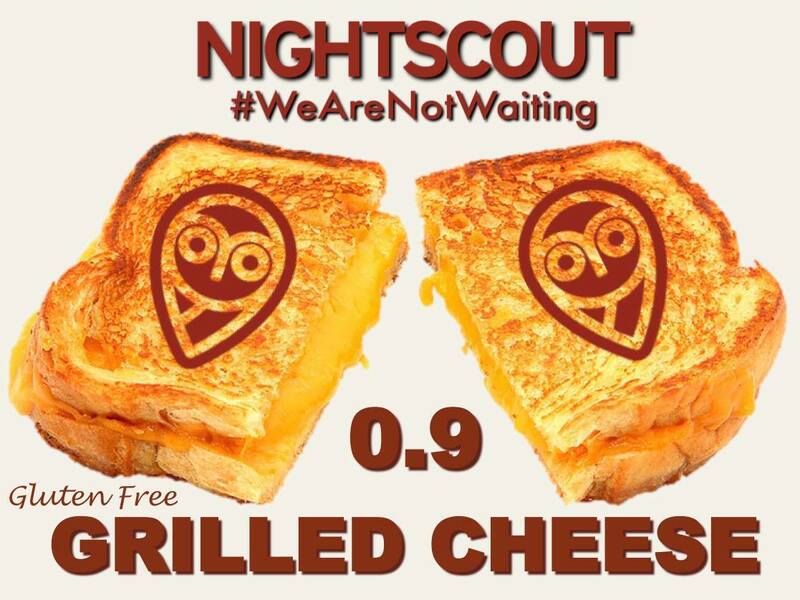 The Grilled Cheese (0.9+) update to the Nightscout site brings long-requested new features to Nightscout, including combo boluses (via CarePortal), authentication roles (to help define/manage caregiver access), and sensor age (SAGE). The Grilled Cheese release also includes pump monitoring features for supported pumps and openAPS and Loop integration for openAPS and Loop users. IMPORTANT: Before you can use Grilled Cheese features, you must update your fork and ensure that your website updates to the current version. To update your site code to Grilled Cheese, please follow the steps outlined here. If you update your site and have trouble getting data from your uploader, you may need to set a variable in your Azure or Heroku settings. A change in Grilled Cheese may affect users of older uploader apps. If you have ENABLE in Connection Strings, move it to App Settings instead. As always, if you make any changes to your variables, be sure and save. If you did not previously have a “Profile” set up on your site, you will be prompted to create one the first time you open your Grilled Cheese site. You can enter all of your information, or you can enter the timezone only (and edit the profile later). You must authenticate your site before you can save your profile changes. To authenticate, use the link at the bottom of the Profile screen and enter your API SECRET from your site setup. Once authenticated, make your profile changes, and then click “save.” If the profile saves correctly, you will see “Success” at the bottom and in the top right corner. You can now open your site (the profile page will not redirect you to the core site screen). Like Funnel Cake (0.8.+), Grilled Cheese introduces a number of exciting new site features and plugins. Many of these features have to be turned on (enabled) in your site settings before they can be used and before they will be displayed on your Nightscout site. To use features like Care Portal, Insulin-on-Board (IOB), Carbs-on-Board (COB), Cannula Age (CAGE), Raw Data, Sensor Age (SAGE), Insulin Age (IAGE), and the Bolus Wizard (boluscalc), you must first “ENABLE” them in your site settings (Azure or Heroku). If you have previously set an “ENABLE” value (if you use Care Portal or raw data, for example), you will modify the existing value for ENABLE to add any additional features you wish to use. If you do not have an ENABLE variable set, add ENABLE in the next blank left-hand box (under Application Settings/App Settings in Azure or in Settings/Config Variables in Heroku) and place selected features from the list below in the value box to its right. You can use choose to enable as many or as few of the plugins as you wish. After you are done, be sure to click “save” to save the settings. Note: you can only have a single ENABLE variable set. All desired features go in the same box as a space delimited list (see examples below). The following example shows multiple plugins set with ENABLE. The following information is from the GitHub readme file for the 0.9 release of the CGM Remote Monitor. Additional information about some of these features and settings can be found in the Funnel Cake documentation. Format used below (and in the readme): VARIABLE name shown in caps with the default value immediately following in () marks. If you make NO change (or do not set this variable yourself), the default is used by your site. (For example, if you do not specify a BG_TARGET_TOP value in your site settings, then 180 will be used, by default. EDIT_MODE (on) – possible values on or off. When turned “on,” this feature enables an icon that allows you to enter treatments edit mode from the main Nightscout screen. Visit https://YOURSITE/food to make entries that will then be available in the Bolus Wizard (boluscalc). Raw data is available for Android uploaders only. If you want raw data to always show on your site, also use this variable: show_rawBG=”always”. To learn more about raw data, see: Interpreting Raw Dexcom Data. For more information regarding information from the treatment profile that is used to calculate IOB and COB, see the explanatory information in this resource. Note: features like IOB and COB rely on Care Portal entries that provide the Nightscout site with information regarding carb intake and insulin given. 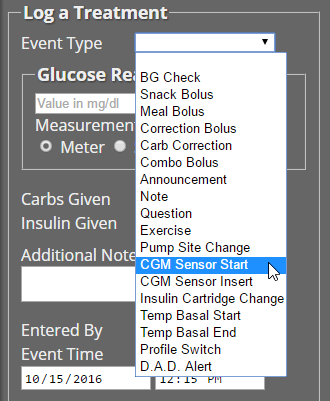 The Basal Wizard Preview tool can help you evaluate the relationship between current bg, IOB, and carbs on board. Learn more about BWP. The SAGE plugin tracks the number of days and hours since the last CGM Sensor Start and CGM Sensor Insert treatment that was recorded. Nightscout site users can record the CGM Sensor Start or CGM Sensor Insert using CarePortal. The sage information is displayed on the site in the sage “pillbox” if the SAGE plugin is turned on in the browser settings or set to “always” be displayed in the server settings. SAGE_ENABLE_ALERTS (false) – Set to true to enable notifications to remind you of upcoming sensor change. SAGE_URGENT (166) – If time since last sensor event matches SAGE_URGENT, user will be issued a persistent warning of overdue change. The IAGE plugin tracks the number of days and hours since the last Insulin Change treatment that was recorded. Nightscout site users can record the insulin change (e.g., cartridge change, fill, etc.) using CarePortal. IAGE is displayed on the site in the IAGE “pillbox” if the IAGE plugin is turned on in the browser settings or set to “always” be displayed in the server settings. IAGE_ENABLE_ALERTS (false) – Set to true to enable notifications to remind you of upcoming insulin reservoir change. IAGE_URGENT (72) – If time since last Insulin Change matches IAGE_URGENT, user will be issued a persistent warning of overdue change. Display current basal rate with pillbox visualization on the site.See Basal. Display basal visualization on the graph, as well as visualization of temp basal settings. See: Basal and Temp Basal in Nightscout. See Pushover information for use with Funnel Cake (and newer). For information about using IFTTT with Funnel Cake (and newer), see this lab. Generates notifications when a treatment has been entered and snoozes alarms minutes after a treatment. Default snooze is 10 minutes, and can be set using the TREATMENTNOTIFY_SNOOZE_MINS extended setting. TIMEAGO_ENABLE_ALERTS (false) – Set to true to enable stale data alarms via Pushover and IFTTT. Calculates and displays the change between the last 2 BG values. UPBAT_ENABLE_ALERTS (false) – Set to true to enable uploader battery alarms via Pushover and IFTTT. UPBAT_WARN (30) – Minimum battery percent to trigger warning. UPBAT_URGENT (20) – Minimum battery percent to trigger urgent alarm. Used by upbat and other plugins to display device status info. Supports the DEVICESTATUS_ADVANCED=”true” extended setting to send all device statuses to the client for retrospective use and to support other plugins. Generates alarms for CGM codes 9 (hourglass) and 10 (???). Generates alarms based on forecasted values. See Forecasting using AR2 algorithm. Enabled by default if no thresholds are set OR ALARM_TYPES includes predict. AR2_CONE_FACTOR (2) – to adjust size of cone, use 0 for a single line. Uses BG_HIGH, BG_TARGET_TOP, BG_TARGET_BOTTOM, BG_LOW thresholds to generate alarms. Enabled by default if 1 of these thresholds is set OR ALARM_TYPES includes simple. The “bridge” is used by G4 Share and G5 users that are uploading data to the Dexcom servers and pulling that data to Nightscout. Bridge variables are described here (and then bridge setup is further outlined in the linked G4 Share and G5 documents). PUMP_ENABLE_ALERTS (false) – Set to true to enable notifications for Pump battery and reservoir. PUMP_RETRO_FIELDS (reservoir battery clock) – The fields to display in retro mode. Any of the above fields. PUMP_WARN_CLOCK (30) – The number of minutes ago that needs to be exceed before an alert is triggered. PUMP_URGENT_CLOCK (60) – The number of minutes ago that needs to be exceed before an urgent alarm is triggered. PUMP_WARN_RES (10) – The number of units remaining, a warning will be triggered when dropping below this threshold. PUMP_URGENT_RES (5) – The number of units remaining, an urgent alarm will be triggered when dropping below this threshold. PUMP_WARN_BATT_P (30) – The % of the pump battery remaining, a warning will be triggered when dropping below this threshold. PUMP_URGENT_BATT_P (20) – The % of the pump battery remaining, an urgent alarm will be triggered when dropping below this threshold. PUMP_WARN_BATT_V (1.35) – The voltage (if percent isn’t available) of the pump battery, a warning will be triggered when dropping below this threshold. PUMP_URGENT_BATT_V (1.30) – The voltage (if percent isn’t available) of the pump battery, an urgent alarm will be triggered when dropping below this threshold. OPENAPS_ENABLE_ALERTS (false) – Set to true to enable notifications when OpenAPS isn’t looping. If OpenAPS is going to offline for a period of time, you can add an OpenAPS Offline event for the expected duration from Careportal to avoid getting alerts. OPENAPS_RETRO_FIELDS (status-symbol status-label iob meal-assist rssi) – The fields to display in retro mode. Any of the above fields. LOOP_ENABLE_ALERTS (false) – Set to true to enable notifications when Loop isn’t looping. Add loop to SHOW_FORECAST to show forecasted BG. Some of the plugins make use of a treatment profile that can be edited using the Profile Editor, see the link in the Settings drawer on your site. timezone (Time Zone) – time zone local to the patient. Should be set. dia (Insulin duration) – value should be the duration of insulin action to use in calculating how much insulin is left active. Defaults to 3 hours. carbs_hr (Carbs per Hour) – The number of carbs that are processed per hour, for more information see #DIYPS. carbratio (Carb Ratio) – grams per unit of insulin. sens (Insulin sensitivity) How much one unit of insulin will normally lower blood glucose. basal The basal rate set on the pump. target_high – Upper target for correction boluses. target_low – Lower target for correction boluses.